London, September 12, 2018 - In a press conference held in London, the National Council of Resistance of Iran (NCRI) revealed new classified information from inside the Iranian regime showing Tehran is busy increasing its terrorist activities against the main Iranian opposition group, the People’s Mojahedin Organization of Iran (PMOI/MEK), and the NCRI. Ms. Dowlat Nowruzi, the UK representative of the NCRI, laid out details of the Iranian regime’s operations abroad and the role of its embassies in planning and coordinating terror plots against dissidents in European countries. The information compiled by the Iranian opposition also shows that, contrary to what some analysts have tried to portray, the foreign terrorist activities of the Iranian regime are not rogue operations and are being orchestrated at the highest levels of power in Tehran. In the past year, the Iranian regime has increased its espionage and terrorist activities abroad. In March, authorities in Albania stopped a terrorist bombing plot against a gathering of MEK members in Tirana. The plot was planned in Tehran and involved two Iranians who had traveled to Albania under the guise of journalists. In June, European law enforcement agencies stopped a terrorist attack against a large gathering of the Iranian opposition in France. The convention was attended by tens of thousands of Iranians from across the world, featuring speeches by NCRI President Maryam Rajavi and dignitaries from the U.S., Europe, Middle East and other regions. Two months later, in August, U.S. authorities apprehended two Iranian men who had been spying on Iranian dissidents—namely people tied to the MEK and NCRI—at the behest of Tehran’s regime. “No doubt we are facing a new wave of terrorist activities by the mullahs’ regime outside Iran,” Nowruzi said in her remarks. The NCRI representative also stressed that according to specific information from within the regime, the decision to carry out the operations, including the attempted bombing of the Paris gathering, was taken in January 2018 in the Supreme National Security Council, headed by Hassan Rouhani. High profile authorities of the Iranian regime were involved in the decision making process, including the regime’s foreign and intelligence ministers, the Supreme Leader’s closest advisors, the commander of the IRGC and Qassem Suleimani, the head of the regime’s terrorist Quds Force. “Further discussion on the extent of this operation took place in the months of January and February in the Supreme National Security Council, and the plan was taken by Hassan Rouhani to Khamenei for final approval,” Nowruzi said. According to the NCRI, the “Organization of Foreign Intelligence and Movements,” is the specific department in the Iranian regime’s Ministry of Intelligence and Security (MOIS) responsible for terrorist activities in Europe and U.S. This is one of the most important departments within the MOIS, coordinating espionage and terrorist operations between MOIS stations in different countries, which include the Iranian regime’s embassies.  “As a sign of focusing more on terrorism, the status of this department within the MOIS was elevated from directorship to organization on 8 February 2017. That means expanding the department with more budget and personnel,” Nowruzi warned. The Iranian opposition’s information indicate that the OFIM is headed by Reza Amiri Moghaddam, a top security official reporting directly to the Intelligence Minister Mahmoud Alavi. “He plays a key role in the regime’s terrorist activities in Europe and the U.S.,” Nowruzi said. A former IRGC commander, Moghaddam was involved in terrorist attacks against coalition forces in Iraq following the 2003 U.S.-Iraq conflict. An Iranian Resistance investigation has found that Moghaddam was at the head of an Iranian regime delegation that held three-way negotiations with the U.S. and Iraq. Moghaddam was also in charge of the coordination of the terror attack against the Iranian opposition convention in Paris and delivered orders and instructions to Assadollah Assadi, an Iranian diplomat and the head of the MOIS intelligence station in Vienna. Assadi, a terror mastermind who has had experience carrying out terrorist activities in various countries, was in charge of planning and executing the attack with a sleeper cell in Belgium. Assadi was apprehended by German police two days before the Free Iran rally, after he had delivered explosives to his accomplices. “For your information, Assadollah Assadi since 2014 has been head of all intelligence stations of the MOIS in Europe. Given the sensitivity of the operation, he was instructed to be personally engaged in the execution of the plan,” Nowruzi said. Assadi has also served in the Iranian regime’s embassy in Iraq from 2004 to 2008, serving as third secretary. “According to our information, Assadi played a key role in terrorist plots, bombings and kidnappings against PMOI members, Iraqi citizens and collation forces from 2004 to 2008,” Nowruzi said. The NCRI’s representative warned that the Iranian regime’s embassies in Europe play a key role in the regime’s terrorist activities in different aspects. “The NCRI has done thorough research on this issue, and the outcome will be released today for the first time. The regime’s embassies, in addition to collecting intelligence, provide logistics up to the point of the operation including weapons, explosives, money and other facilities required for the terrorist act,” she said. The increase of terrorist activities are happening while the Iranian regime is reeling from the effects of an ongoing uprising that started last December. Against all security provisions, the people of numerous Iranian cities poured into the streets to protest against poverty, unemployment and government corruption. The demonstrations soon turned into anti-government protests that called for the overthrow of the regime in its entirety. The regime’s officials have blamed the MEK for organizing protests and are trying to retaliate against the Iranian opposition to keep their tenuous hold on power. “From the outset [of the protests], the highest-ranking officials of the regime blamed the PMOI (MEK) for the uprising and stated that they would respond in the harshest manner,” Nowruzi reminded. Nowruzi also observed that since January 2018, the Iranian regime has had no solutions for responding to the people’s needs. “It sees its only solution as striking a blow to the organized Resistance and the alternative to its rule, in particular via terrorism. Given the urgency and serious nature of the matter, it is willing to pay any diplomatic price in this regard,” she said. “Silence in the face of the mullahs’ unbridled state terrorism, which has now openly reached Europe, is tantamount to ignoring this threat. It is equal to placing false hope on dialogue and the continued policy of appeasement, with biased and political objectives and destructive and deadly consequences for Europe, and playing with the lives of innocent people who will be the victims of this state terrorism. We should not allow the Iranian regime, in its phase of demise, to threaten the lives of Iranian refugees and opponents and the security of European countries,” Nowruzi said. The detained terrorists in Germany and Belgium must be prosecuted in Belgium without any political considerations. The Intelligence Ministry’s mercenaries and spies in European countries, including in the UK, must be arrested, tried and expelled. The Iranian regime’s embassies and diplomatic missions in Europe must be shut down. Right Honorable Sir David Jones, a Conservative British MP, discussed the threats of the Iranian regime launching a broad new surge of terrorist activities spanning across Europe and even reaching the U.S. The UK government must do more than just express concerns over the terrorism of Iran's regime. London should make it clear it supports the extradition of Tehran's diplomat. Furthermore, the UK government should consider blacklisting Iran's Revolutionary Guards & implement more effective measures,” Jones said. Iran regime officials are continuously acknowledging how the PMOI/MEK is playing a major role in current protests throughout the country, the MP emphasized, adding London should be engaging the Iranian resistance movement, being the NCRI & Mrs. Maryam Rajavi as the movement’s President-elect. Lord Ken Maginnis of Drumglass touched on his decades-long experience of studying and battling terrorism to emphasize the importance of tackling the threat posed by the Iranian regime. “We do very little from actually stopping terrorism from happening again. We must attack Iran's terrorists here at home. I am critical about the indecision of our government,” he said in strong remarks. “Assadollah Assadi is a diplomat organizing terrorism in our democracies. We must highlight this threat… You can't talk to terrorists. We are committed to forcing our government to taking effective action. There are a lot more Assadollah Assadis waiting. A lot more being put in place. They will not go away,” Maginnis warned. Referring to his relationship with and knowledge about Tehran’s mullahs and main Iranian opposition, Lord Maginnis highlighted how imperative it is to stand alongside the Iranian people in their struggle for freedom and democracy. “Nothing has changed for the Iranian people despite Iranian regime President Hassan Rouhani coming to power. I hope we begin to see the heroes of Iran's resistance, the people who have seen consistently and often having been threatened and attacked. We've got to think of Iranians as people who do not deserve that,” he added. Signaling the media’s sensitive role, Lord Maginnis delivered final remarks underscoring the importance of this medium in informing the public about the grave threat of Iranian regime terrorism at hand. UK Conservative MP Bob Blackman highlighted on the very recent history of the Iranian regime’s terrorist plots targeting the PMOI/MEK. “I'm here to emphasize the threat of terrorism supported by Iran's regime. Since March there have been three terrorist plots by Tehran across Europe & the U.S against the PMOI/MEK… Iran's operatives have been arrested in Albania, Belgium, Germany, France & the United States involved in plotting terrorism against the PMOI/MEK,” he explained. Iran's regime must be held to account for state sponsored terrorism, the British MP continued, adding how a cross-party effort in the British Parliament is gaining support for an early day motion against Tehran-sponsored terrorism. “Germany must extradite Iran's diplomat terrorist Assadollah Assadi to Belgium… Iran's assets in the UK must be frozen to stop Tehran from deploying terrorist plots. There is enough evidence that says Iran's operatives must be held to account,” Blackman continued. Providing an in-depth perspective on Iran’s need for terrorism, the British MP highlighted the mullahs’ weakness in confronting growing troubles back home. “Tehran is increasing its terrorism in Europe because it is weak in the face of protests across. The National Council of Resistance of Iran (NCRI) is a viable opposition,” he added.